“A councillor has resigned from mayoral duties after allegations of sexual offences against three men. The Mayor of Hyndburn Peter Britcliffe, who also sits on Lancashire County Council (LCC) was interviewed by police last month but has not been arrested. Police said the offences were alleged to have been committed in Oswaldtwistle between January and July last year. Mr Britcliffe denies the claims and said he is cooperating fully with police to “prove his innocence”. 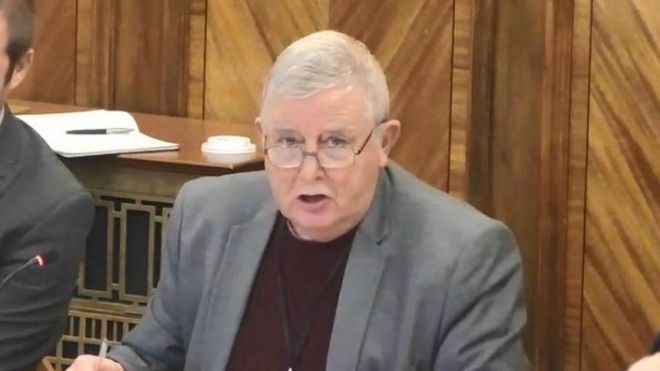 Leader of Hyndburn Council, Miles Parkinson, said the authority was putting alternative arrangements in place for Mr Britcliffe’s mayoral engagements. LCC said it was aware of the allegations relating to men aged between 18 and 19 and as a “neutral act” and in line with safeguarding procedures it would ensure Mr Britcliffe does not carry out any duties bringing him into contact with children or vulnerable adults while the investigation takes place. Mr Britcliffe, who is a Conservative councillor, said while he was confident the investigation will “clear his name” it has put a “terrible strain on his family”. In a statement, he said he was “stepping aside from mayoral duties in the interest of the borough of Hyndburn and the mayoralty”. A Lancashire Police spokesperson said: “A 67-year-old man from Hyndburn, Lancashire attended a police station by appointment on 15 January to be interviewed about complaints of sexual offences. According to Hyndburn Borough Council’s public records, Britcliffe is a former teacher and his public Facebook profile lists Holy Trinity Free Church of England Church amongst his ‘likes’, as well as a page called ‘Jesus Christ Savior by Beliefnet‘.